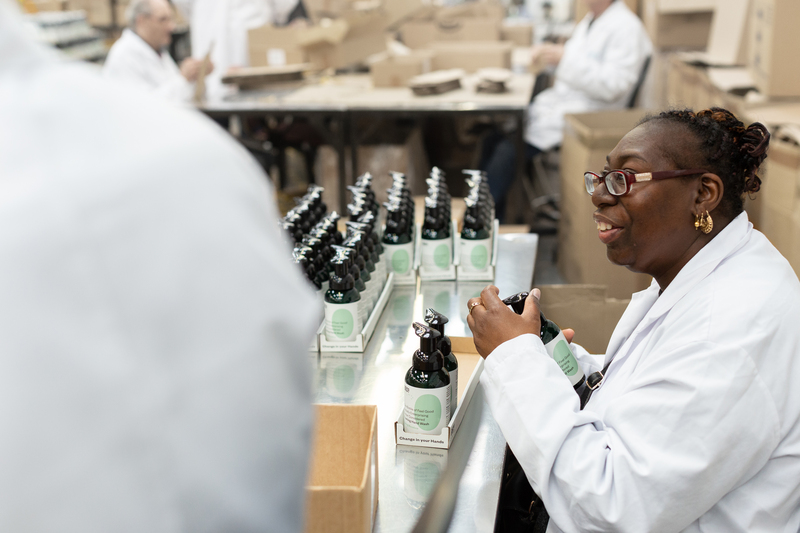 "CLARITY-The Soap Co. is committed to sourcing sustainably in all aspects of its manufacturing process, influencing both consumers and business through our example." 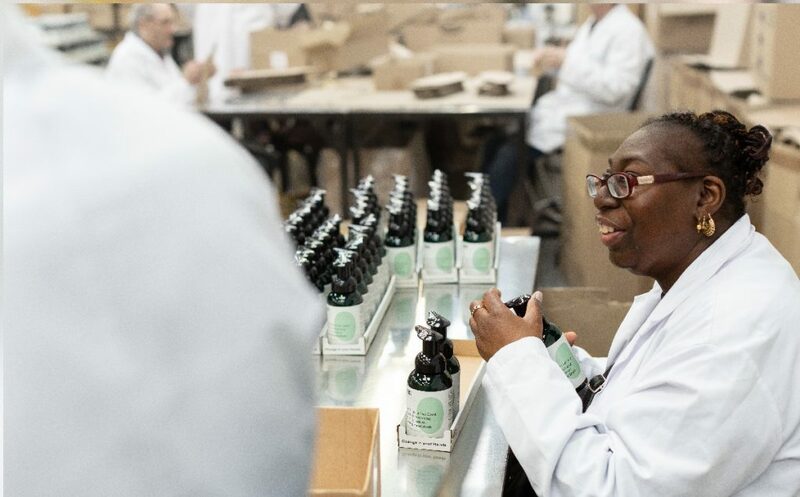 As a social enterprise, CLARITY-The Soap Co.’s core goal is to provide meaningful employment for people with disabilities; it builds skills, provides financial independence, and encourages less reliance on others. We like to say we are disrupting and changing views about just what people with disabilities and long-term health conditions are able to achieve in the workplace and in life. We fundamentally believe that everyone is capable of doing something great. Our ethos around sustainability is no less proactive. 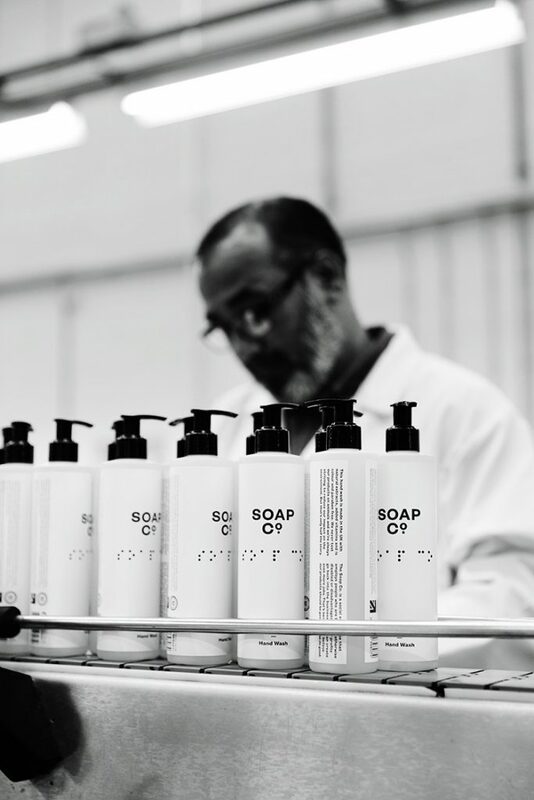 CLARITY-The Soap Co. is committed to sourcing sustainably in all aspects of its manufacturing process, influencing both consumers and business through our example. Our brands – The Soap Co., with its Eco & Bee Friendly collection, and BECO – are making real headway in the corporate, retail and hospitality space, affording us a unique opportunity to promote our eco and sustainability agenda to an ever-widening cohort of people concerned to make a difference to our planet’s health. For example, certain products in our Eco & Bee Friendly collection use borage and calendula flowers. These have long flowering seasons, reducing the risk of bee colonies starving over the June nectar gap and providing a regular source of forage after August for last-minute nectar collection, before the cold nights set in. Borage is one of the star crops in the drive for bee preservation. Calendula officinalis is also an ideal plant for bees to collect pollen from. In fact, five tonnes of fresh flowers can sustain 20 half-size bee colonies with about 20,000 individuals in each. As we enter the corporate supply chain with our brands, and as our products sit proudly on the retail shelves, we are enabling people to be part of a wider movement for good, creating a ripple effect across society. By way of example, BECO is now for sale in Waitrose & Partners, Sainsbury’s and the Co-op, while The Soap Co. can be found in The Conran Shop – and shortly in John Lewis, too – plus many high-profile corporate washrooms and the hospitality sector, including Michelin-starred restaurants such as Cornerstone in Hackney. Our new brands proudly carry The Planet Mark logo on their packaging. Our organisation holds this influential sustainability certification as a powerful endorsement of our efforts to reduce our carbon footprint year-on-year using clear metrics. In 2017, we reduced this damaging footprint by 15%, undertaking a number of initiatives to do what we can, as effectively as we can. It’s not always easy as we grow, but we do enjoy a challenge. We now, for example, have established a Green Team – tasked with disseminating clear ideas of how we as a workforce and organisation are tackling a host of relevant issues. We have turned our boiler down, switched to green energy that uses only sustainable energy sources, set up recycling stations, purchased only Forest Stewardship Council paper, and so on. BECO and The Soap Co. deliver efficacious hand and body care products that are pro planet and pro people, too. They appeal to more savvy – and concerned – shoppers that are ready to consume ethically, resisting the type of consumerism that pays little regard to ethics of any description. It’s an unbeatable combination, sustainable brands that are good and that do good. We are seeing that CSR is no longer a tick box exercise but one that, if ignored, leaves businesses open to the reasonable charge of just not caring enough. We are watching as individuals abandon hope solely in government to act – and are acting themselves to make a difference and to play their part. Our BECO foaming hand wash saves 88 litres of precious water and, if used by every UK household, could create 45,000 new jobs. That is social and environmental impact in action and if we have learnt anything, it is that any and all action to change things for the better is never – ever – wasted. Sustainability is just the beginning. We are aiming for net positive.